In-person meetings play a fundamental role in business operations. They are integral to building and sustaining successful relationships between co-workers, customers, partners, and suppliers. Studies show that almost 82 percent of people believe that meetings help bring out the best in people and 85 percent believe face-to-face meetings result in breakthrough thinking. The benefits are obviously many. Banking staff routinely conducts dozens of complex and challenging discussions with customers. Given how sensitive these topics are, face-to-face meetings are often the preferred format. However, having in-person meetings carry a lot of disadvantages – they are time-consuming, expensive and at times, inconvenient. Technological tools are stepping into this gap with solutions that bring the best of the two worlds. Real time engagement platform encompasses a range of tools that enable live and effective interactions. Powered by the innovative web-RTC technology, this easy-to-deploy solution doesn’t need expensive software licencing or installations. Secure, robust and multi-faceted, the plug-and-play platform is a boon for banking firms looking to boost revenue while building strong customer bonds. For customers, the interaction via video chat is a welcome enhancement to carrying out transactions remotely from the convenience of their home or office. At the heart of the platform is video chats. Video chatting is slowly becoming the norm with improvements in technologies, and this is now spilling into regular business interactions as well. 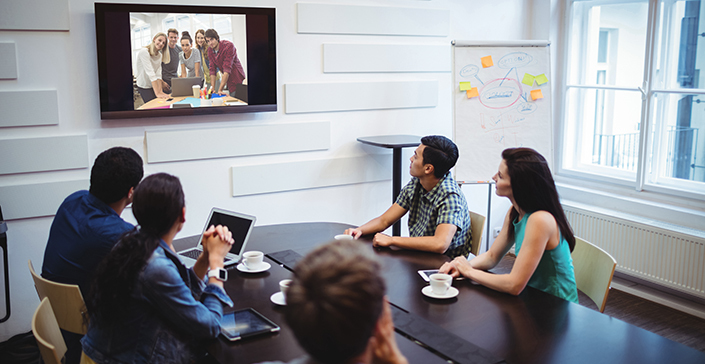 Businesses have long acknowledged the benefits of video-based meetings. They bring the valuable human touch to virtual interactions while retaining the many benefits of in-person communication including better rapport and increased trust. Simplifies And Speeds Up Tough Discussions: With video chats banking staff and customers can have a conversation that very similar to in-personal discussions with proactive interaction between the two. The participants are able to have exchange views, ask questions, provide clarifications and explain critical points without any delay or confusion. Improved Cost Efficiencies: The video chat is far more cost effective than personal travel. As a browser-based plug-in, the video chat can be used in all device formats and needs no special training. The wide expanse of benefits of video chat makes it a top option for banking firms looking to boost customer interaction and improve revenue growth.